The ultrabooks have already drawn the attention when Intel mentioned that these will one of the thinnest of their kind. 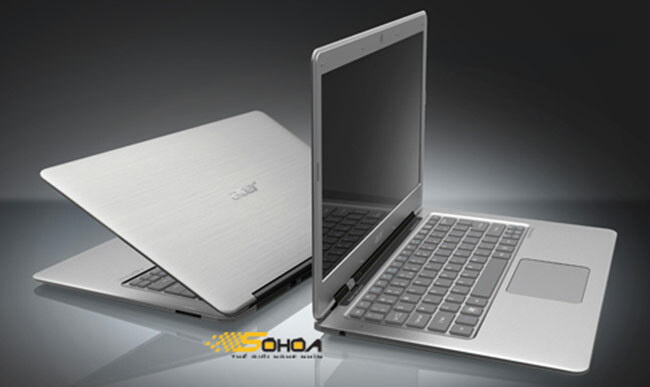 A report made by Digitimes has mentioned that the Ultrabook developed by Acer will arrive by September. This device will have an integrated keyboard and better than an average laptop, has a thickness comparable to the media slates. They will be priced somewhere between $ 769 and $ 960. The Acer Aspire 3951 features a design that might turn out to be quite a threat to Apple's Mac Book Air. The first models will have a screen size of 13.3 inches. The hard drive provided will be between 250GB and 500GB, though a 160 SSB will be an option too. For connectivity and I/O, Acer has provided Bluetooth, HDMI, USB, Wi-Fi, a memory card slot and other ports provided by other models of the same price range. In the market it will be competing with the Asus UX 21.